After a great deal of hard work and careful consultation, the Heritage Centre is proud to share that Woodland Caribou Provincial Park (and connecting Manitoba parks) has been designated as a World Heritage Site. The designation was successful based on both natural and cultural perimeters, making the park Canada's first mixed cultural and natural World Heritage Site. The process has taken years. Initially, there were some issues in developing a balance between the natural and cultural components. Issues were over come through a great deal of consultation. In 2017, the proceedings came very close to a designation, however, Pikangikum First Nation were forced to step down as a supporter. This required those still involved to rethink the project, and in 2018 evaluations began again. Finally, the decision was announced by the United Nations Educational, Scientific and Cultural Organization's World Heritage Committee at its meeting in Manama, Bahrain. The park would become a World Heritage Site! The area in which the park resides is known as 'Pimachiowin Aki', a huge geographical area that covers nearly 30,000 sq. km. of boreal forest. 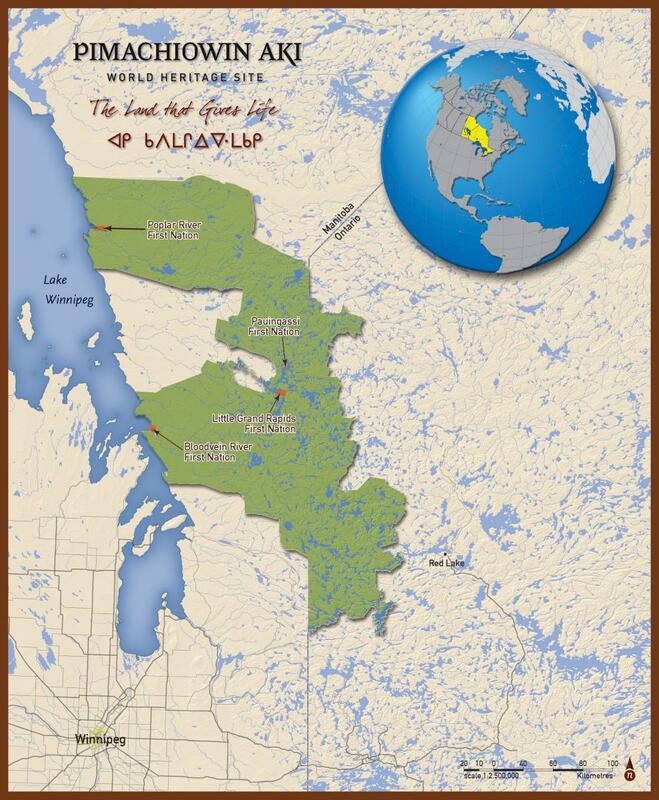 That land is the traditional lands of four Anishinaabe First Nations groups. In Anishinaabemowin, Pimachiowin Aki translates to "the land that gives life." Now that Pimachiowin Aki has become a World Heritage Site, the future is bound to be exciting!